A podcast is a digital audio file that can be made available on the Internet for downloading to a consumer’s computer or mobile device. They are typically available as a series, with new installments that are delivered to subscribers automatically. Podcasting for entrepreneurs is a worthwhile pursuit and it’s now easier than ever to set up and create your own podcast show. These continue to grow in popularity because many people would much rather listen than read an article or watch a video. With a podcast your target audience will be able to listen to pre-recorded “internet radio show” where you provide content on topics of interest to them. 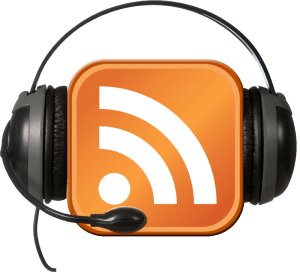 Podcasts are available via a service known as RSS. 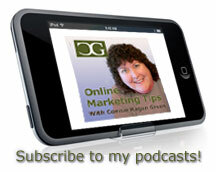 When someone subscribes to a podcast, they will receive the latest files right in their RSS feed reader. You can embed it on your own website as well as on the websites of others so their audience can listen to it too. Once a podcast is recorded, it can be broadcast to a growing audience in several ways. It can be listed in directories so it can be discovered by people searching for your topic of interest. It can also be broadcasted to other websites and listened to anytime, anywhere, by people who subscribe to your podcast. Podcasting for entrepreneurs makes sense and it has never been easier to start your own to skyrocket your marketing and grow your target audience. Now let’s go over a few of the most common podcasting terms, so that when you create your own podcast it will be a little bit easier. A series of recording audio programs, usually published on a regular schedule, such as once a week. Software which detects each new podcast you publish and delivers it to your subscribers. A way to share files with your target audience, or allow others to publish your content, or syndicate it, at their site. An aggregator, or RSS aggregator, collects RSS feeds. It will deliver podcasts and other contents you subscribe to. Feedly and Feedbin would be two good examples of RSS aggregators. A series of podcasts. Think of it as a radio station that can be listened to any time by people who subscribe to your channel. The most important information about the podcast, so it can be discovered by readers and search engines. It will usually include title, recording artist, file format and so on. ID3 is a metadata specification that allows information to be added to MP3 files. Commonly, items like track title, artist, album and track number are placed within ID3 “tags” that identify the type of data. It helps your podcast get discovered in locations like iTunes. The original, popular digital audio player from Apple. The word “podcast” comes from the combination of the words “iPod” and “broadcast”. iTunes is Apple’s multimedia store and software, which will allow you to buy, or access or subscribe for free, a range of content such as music, videos, TV shows and podcasts. It links to a directory of podcasts and acts as a podcatcher by allowing users to subscribe to podcasts and delivering them to their iPod or other player. When you upload your content on iTunes, metatags for it will be created, making it discoverable to those interested in your topic or niche. MP3 (MPEG-1 Audio Layer-3) is the standard format for podcast files. The format compresses the data into a very small file while still maintaining sound quality. Podcasting is relatively easy for anyone who wants to learn how to use it to get their message to the masses. To get started you’ll need access to a web server where you can upload your files for your listeners to access. It’s also a good idea to register a domain and find a hosting to build a website. 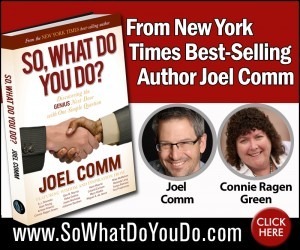 This will make it easier for your listeners to find and connect with you. You’ll also need a few other tools to help you get started and we’ll be talking more about those in your next lesson. 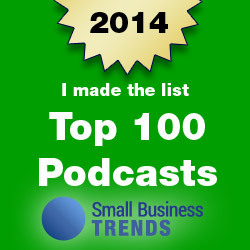 Podcasting for entrepreneurs is an excellent strategy for list building, communication, and credibility. 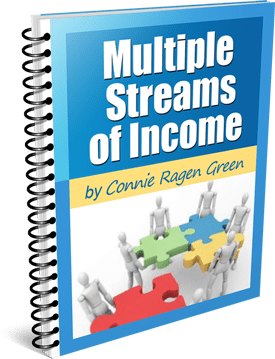 I’m author, publisher, and entrepreneur Connie Ragen Green and would love to connect with you. 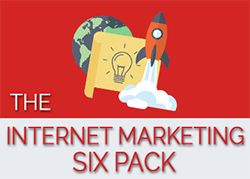 If you’re new to the world of online entrepreneurship please check out my training on how to sell yourself at Sell Yourself and Your Stuff and learn how to gain an unfair advantage when it comes to building a lucrative online business. 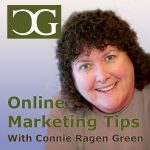 Online Marketing Tips Podcast: Which Type of Entrepreneur Are You? 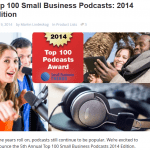 Top 100 Small Business Podcasts – I’ve Been Chosen!